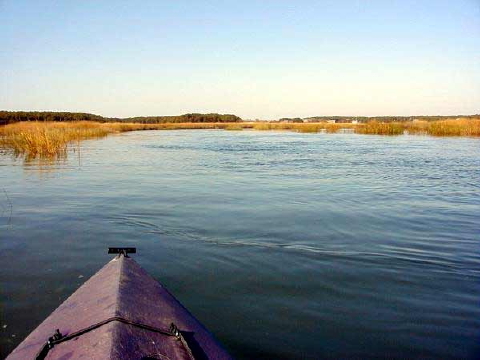 With water temperatures in Wellfleet’s creeks hovering around 50 Fahrenheit, time has come to sweep marsh channels for potentially lethal debris. Last fall more than a 100 diamondback terrapins died in these salt marshes and this year we’re not going to allow history to repeat. 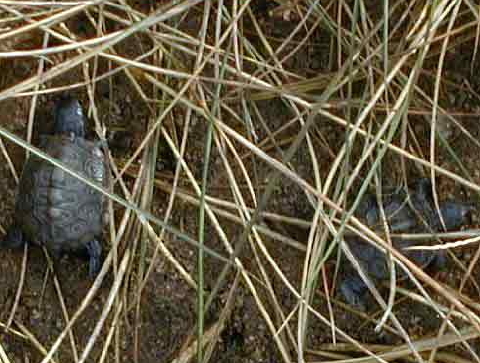 See Death in the Marsh, documenting the dramatic die-off of terrapins in the Wellfleet population. 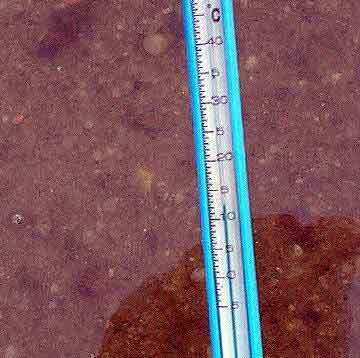 A few days of bright sunshine have raised the water temperature to 12 C (53.6 F). The 10 knot northerly breeze has cleared visibility in the creeks, mucked up by several days of a westerly blow. The channels around Indian Neck and Fox Island, which last year were blocked by “ghost” netting and other debris, seem remarkably clear and open. A single pile of debris remains off Wise Hill. Iron framing, netting and oyster boxes have been mangled together by the tides and while they don’t block any channels now, they still pose a potential hazard when underwater at high tide and especially should they be swept from the marsh by a storm surge. We’ll pull this material ASAP. 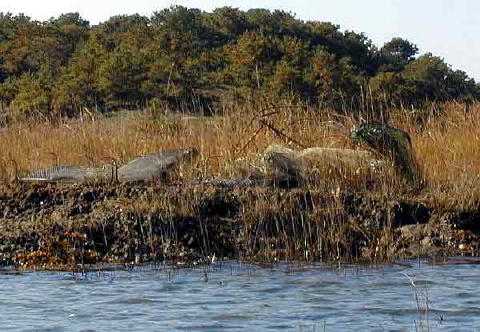 But the good news is that Wellfleet’s salt marsh habitat seems clear and healthy this fall. 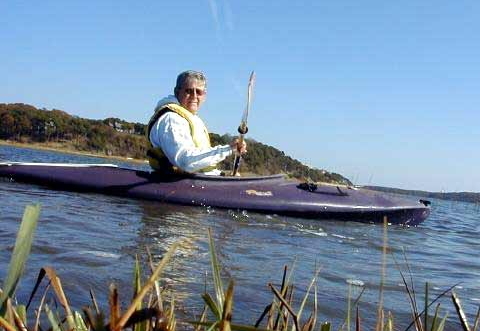 Channel patrols will continue by kayak until ice forms and by foot throughout the winter. Parents experience it, or so I’ve been told. I guess it shouldn’t be a surprise that terrapin researchers share the same emotional letdown, or at least this turtleman does. 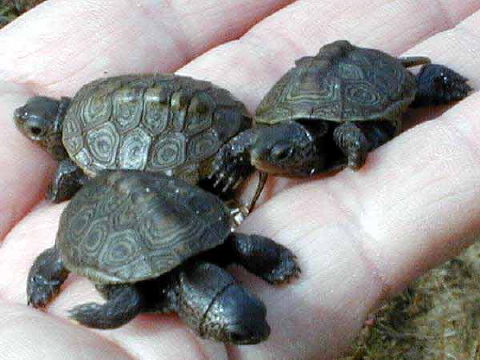 At noon today I released the final three hatchlings from the lab, and chances are high they’ll be the last terrapins seen in the Land of Ooze until late April. 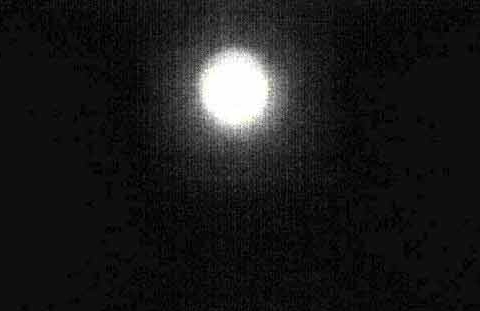 The next cycle of new moon tides, beginning around the 25th of October, will offer an outside opportunity to observe a turtle or two which may be seduced out of its warm, mucky bed by mild temperatures. I jeeped the hatchlings across the causeway to Lieutenant Island and carried them to the nursery marshes off Turtle Point. 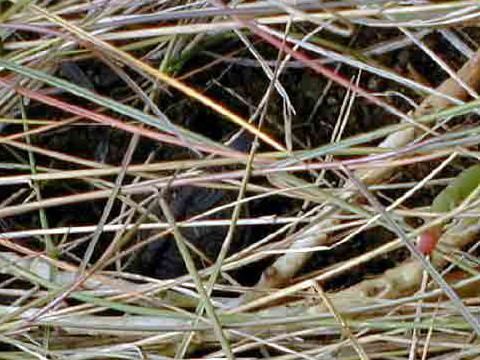 As the mutts and I walked along the wrack line, we noticed the nesting slopes had been hit by predators yesterday. The hillside was pocked with digs. Luckily for our beloved terrapins, these critters attacked nests that had hatched or been excavated the last couple of weeks, so no babies were lost. I guess turtle scent must linger in the ground even after the hatchlings and their egg fragments have been removed. 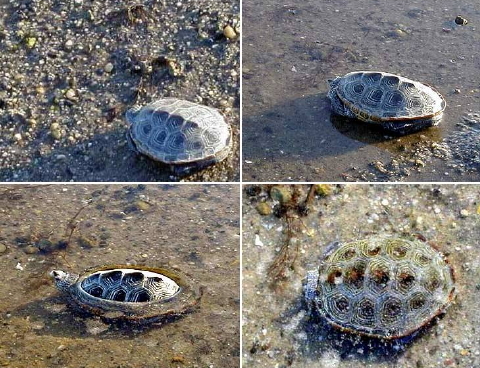 Released at mid-tide near the wrack line, the hatchlings quickly scrambled under salt marsh grasses . . .
. . . and disappeared in a New York minute. 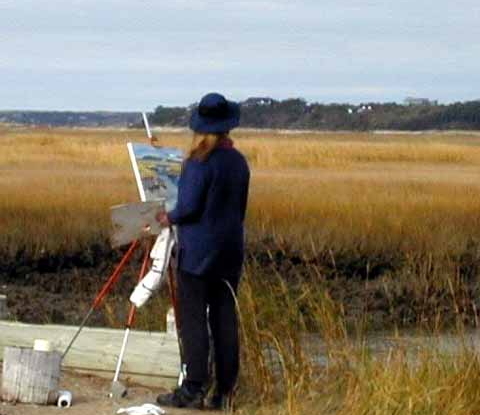 Picture perfect, Wellfleet’s marshes settle into the understated beauty of a long, quiet hibernation. Beware the Ides of October? Nonsense. The Land of Ooze embraces fall, tourist free, striper rich, and color full. Requiting October reciprocated with a perfect autumnal bouquet this weekend. While air temperatures ranged from 55 at sunrise to near 70 at sunset, water over the tidal flats held steadfastly to its chilly 12.5 Celsius. 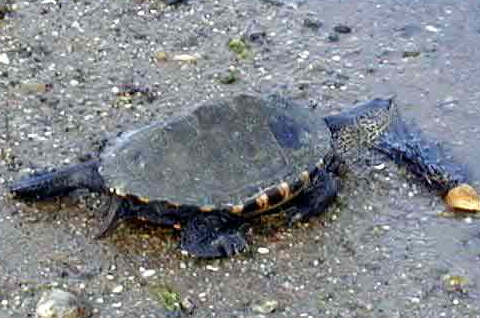 After two days of mildness, several terrapins surfaced in this morning’s low tide parade. One, Turtle 959, came late in the tide and was an easy hand-capture as she barreled through the rip. A healthy 11-year-old female of 18.2 centimeters carapace length and a chunky 1140 grams, she seems well prepared for winter brumation. As temperatures climbed, I thought the moment ripe to release the maturing hatchlings from Nest 177 discovered on 12 October. 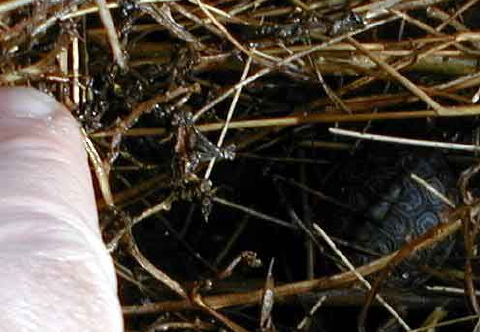 They were bathed and warmed and maggot free, ready to join their siblings and cousins in the rich nursery habitat of the south Lieutenant Island marshes. 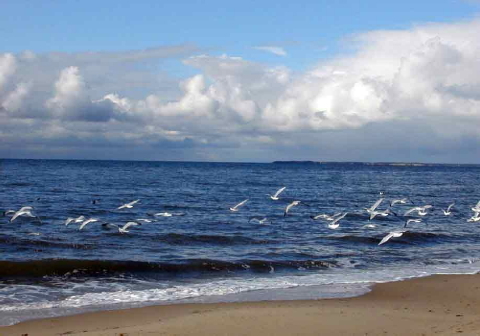 After release at the wrack line, they scurried ’neath patens cover and quickly disappeared from sight. The mutts and I patrolled the shoreline in forlorn hope of finding a last nest of the season. 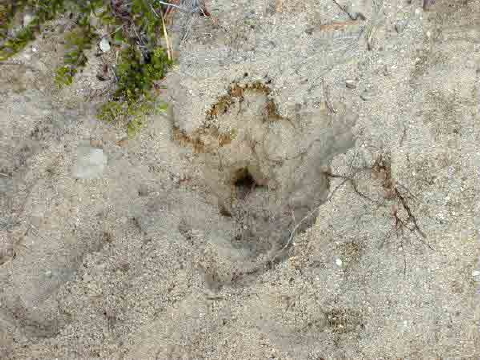 Nest 178 opened two-thirds up the west sandy slope of Turtle Point. We had scoured this area yesterday and did not observe the opening. 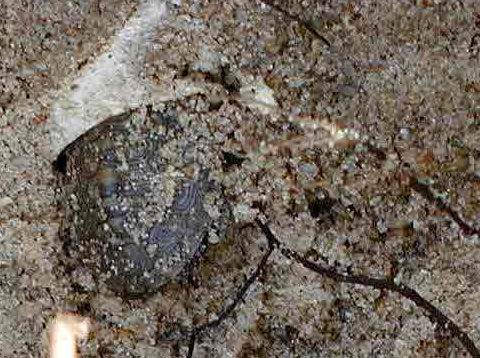 Hand-excavation revealed 11 fresh egg shells from which hatchlings had emerged and escaped into the marsh. As I gently lifted each fragment from the chamber, I detected that very familiar rustling in the sand. At the absolute bottom of the nest, Hatchling 89 emerged rear first from her shell. 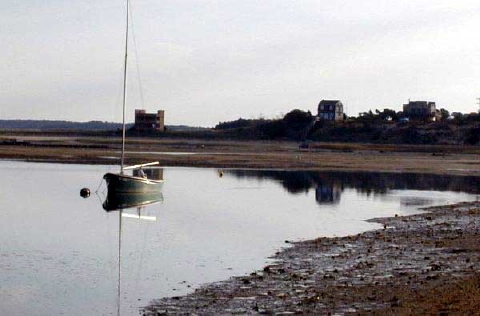 Conditions were mild, 55 degrees and dead flat calm, as echoes of last night’s full moon haloed Wellfleet Bay. Wading cross channel in shadowed darkness prompts eerie thoughts of what lies beneath, as you probe for sink pockets with your net pole and pray that slapping sound somewhere to your right is really a striper and not something a tad more ominous. 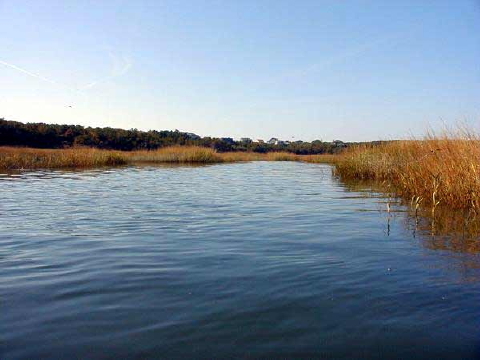 The welcomed rise of the rip, midway between Lieutenant Island and Indian Neck, signals a chance to breathe once more. Water visibility was Cayman perfect. With just a dash of headlamp, you could see anything passing through the pre-dawn outflow: a lonely horseshoe crab half buried in the flats, a too friendly flounder flopping over the rip, fist-sized calico crabs patrolling the channel for a late season snack, and one very sluggish terrapin. Turtle 958 floated down stream with the current, head tucked well inside ample layers of fat, coasting and tumbling more than paddling as he bounced through the channel. A seven-year-old male of 11.42 centimeters carapace length, he had plumped up to 280 grams for impending brumation. I suspect he didn’t burrow down well enough for the night and the full moon tidal current uncovered his hiding place, dislodging a surprised and not too happy camper. Protesting the unfairness of life, #958 refused to budge on release. He held his ground and waited for the water to come to him. I guess you don’t get turtle fat by wasting energy chasing an incoming tide. He heard this tale about the mountain and Muhammed, and drew his line in the sand. This far and no further. 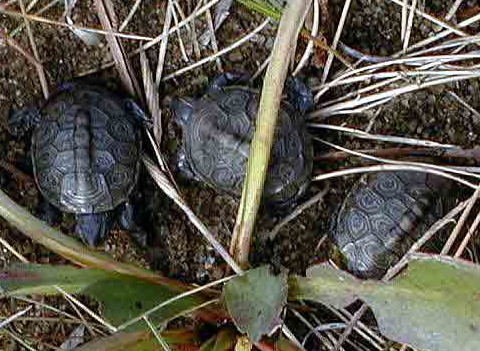 You are currently browsing the Turtle Journal blog archives for October, 2000.